Throughout March, the roofing works have continued. 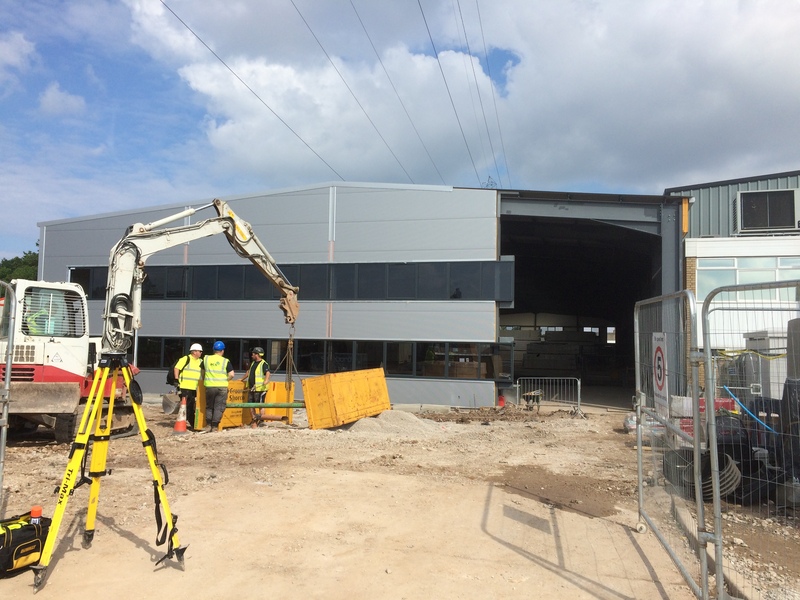 Completion of the roof was achieved on schedule and the outer walls cladding began. The cladding was completed by the end of March and there were some slight delays due to the weather, although this work is now complete. As you can see from the front elevation, two panels have been left out to facilitate the installation of the large spiral freezers. 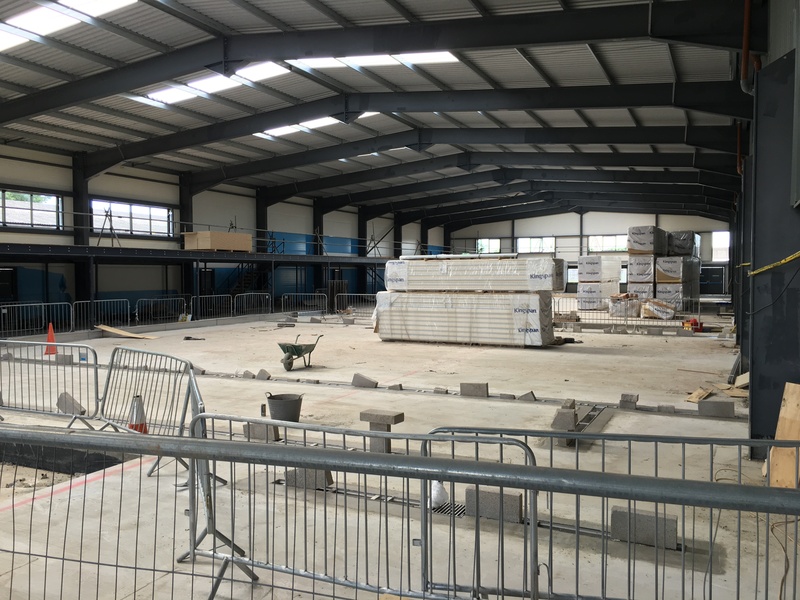 The concrete floor and drainage is now in place and the mezzanine flooring is complete. The white wall panelling is also now well underway and timescale for completion of the new build is currently estimated to be September 2016.